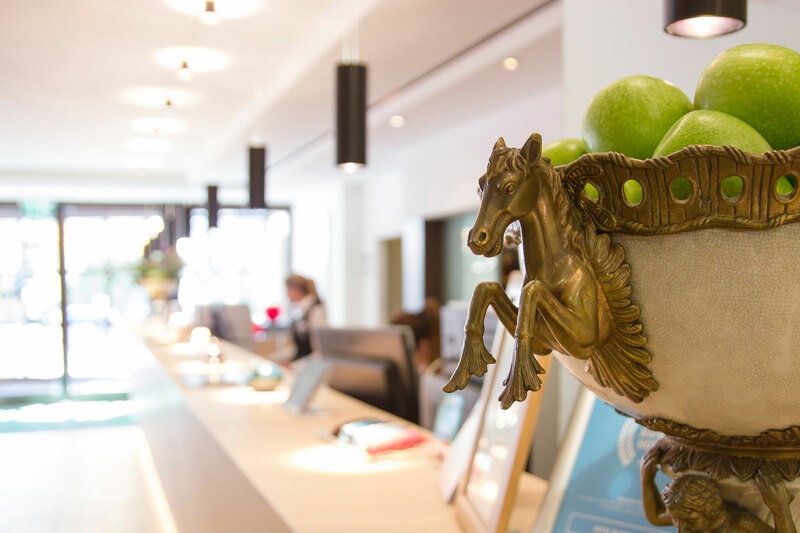 Our traditional business hotel stands for three special values: warmth, hospitality and service competence! Be our guest and see for yourself! We look forward to your visit to our hotel! Experience stylish ambience in our rooms furnished in keeping with the times. Choose between single and double rooms or between Junior Suites and Royal Suite. We have the suitable room for any guest. The history of our hotel dates back to the 19th century, when well-known architect Kasimir Böhner started with construction of the building. The establishment has an eventful history that has been preserved over generations, and this can be noticed and experienced to this day! Our arrangements are very individually and lovingly put together for your short holiday. Great emotions at an all-inclusive price! For the small shared break, for a piece of happiness, shared experiences and memories, we definitely have the suitable arrangement for you! We want to offer our guests and visitors a first class service. It is our objective to constantly improve. Your review is our incentive to optimize continuously our services. Here you will find current reviews of our house.